While it appears I just solved a problem, I’m wondering what really happened. 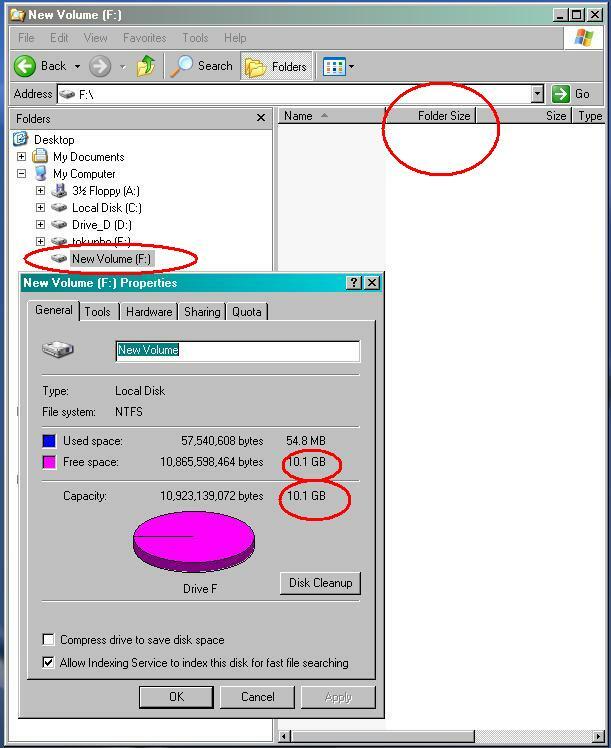 The problem: an observation I made was that one of the partitions in my computer displayed wrong volume properties, even with very little files in it, the partition showed half of the available space used. I’ve made this observation for about a week and tried to find out why. 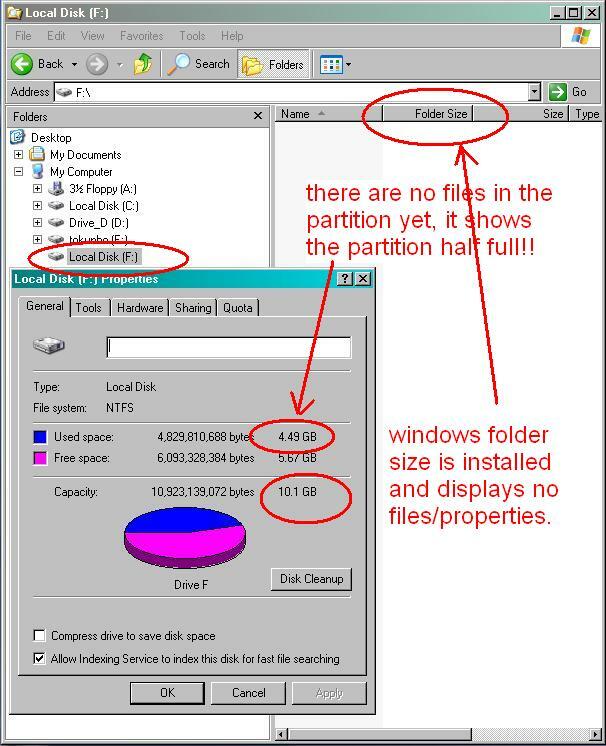 Even though I had Windows Folder-Size installed, I still didn’t get the correct amount of used/available space information for the partition in question. I checked through my tree of folders and no file approached 1GB in size. I also made sure I had the option to show hidden files and folder turned on in the tools >> folder options window. My last resort was to copy all files in the partition to another partition, and then format this suspicious partition. Then I got the correct partition information. note: my computer wasn’t hung up, coz I rebooted it before taking the above captures / after resolving to do a format. Besides, in a production network, I won’t want to conclude that a decision to always format the drive is the best thing to do if one is in such a situation..
question: what happened and why didn’t I get a correct volume information at first? any suggestions would help. any alternative solutions besides formatting? It could probably have been a virus/spyware. Which antivirus do you use on your system?